Welcome to the Sunbury Chapter NSDAR! The Sunbury Chapter Daughters of the American Revolution (NSDAR) received its charter on April 21, 1921. Mrs Max Land, State Regent of the Georgia Society, gave the Chapter the name of Sunbury which comes from the town of Revolutionary fame, located inland between Brunswick and Savannah. Sunbury was the home of Doctor Lyman Hall and Button Gwinnett, both signers of the Declaration of Independence. The names of Sunbury Chapter, Juniors of Sunbury, Junior American Citizens Clubs, and Mrs. J. H. Pledger, a Sunbury Chapter member, have been inscribed on the Bell Tower at Valley Forge. Also, of note is the chair which was placed in Constitution Hall in honor of Sunbury's first two Regents. 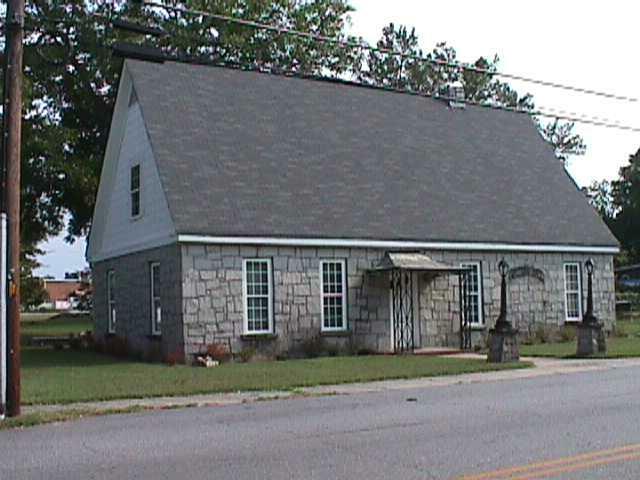 In 1943, Colonel James Dala Watson built and presented to the Sunbury Chapter NSDAR a beautiful granite Chapter House. A portrait of Colonel Watson hangs in prominence today in this house which was named, "Watson Hall," in honor of its generous benefactor. From 1921 until the present, the Sunbury Chapter NSDAR has progressed in membership, Americanism, community service, and the pursuit of national defense. The genealogical records and records of service are among her richest inherited possessions.